In the case of When Parallel Lines Meet at Infinity, there’s also an odd sensation of the tracks vanishing into the distance. The tracks are, as rationally we know, parallel but they converge in front of us. 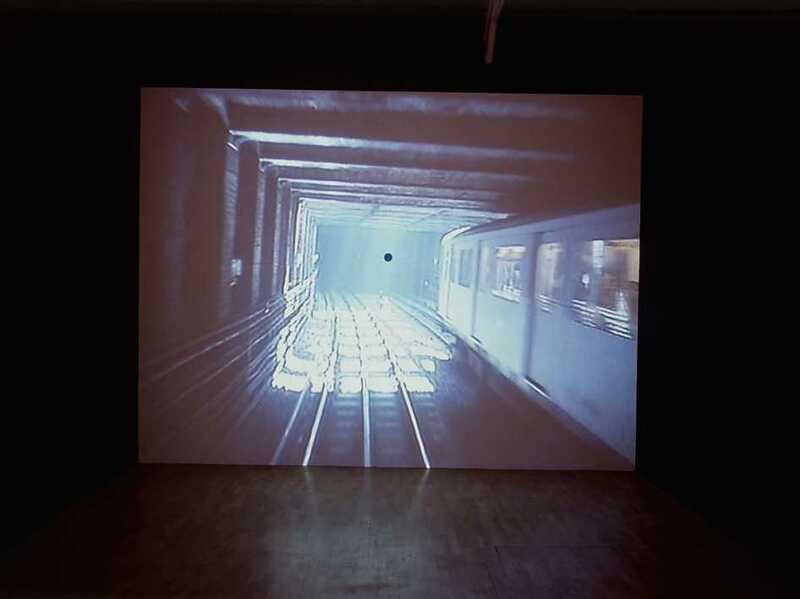 This is a perspective drawing made in situ; the tracks are both a physical structure in the world represented on screen and the lines that help us understand its perspective. A small black dot offers a vanishing point. This is the journey as artwork as well as the transport infrastructure as drawing. We are seeing the journey as the train driver would, as endless tracks ahead. 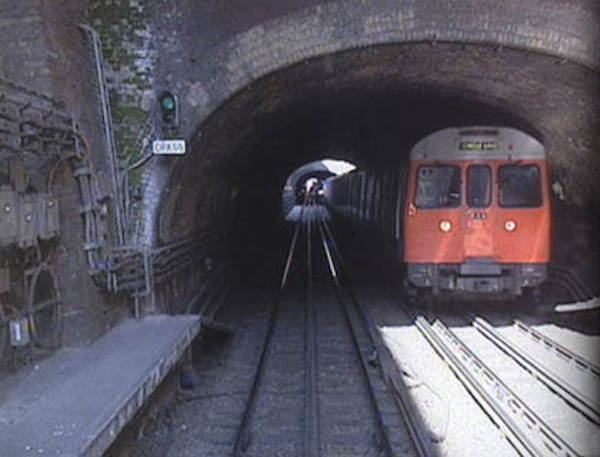 But of course this is also a journey underground; a journey to the underworld, perhaps? There are signs of the surface periodically – sudden bursts of sunlight when the track surfaces – but there is no real escape from the gloom. We move forward but never arrive. We might stop briefly at stations but the journey is relentless and, this being the Circle Line, essentially futile. There is no beginning or end, just interminable middle. Like many of Wallinger’s works, When Parallel Lines Meet at Infinity is something I would really like to see again. 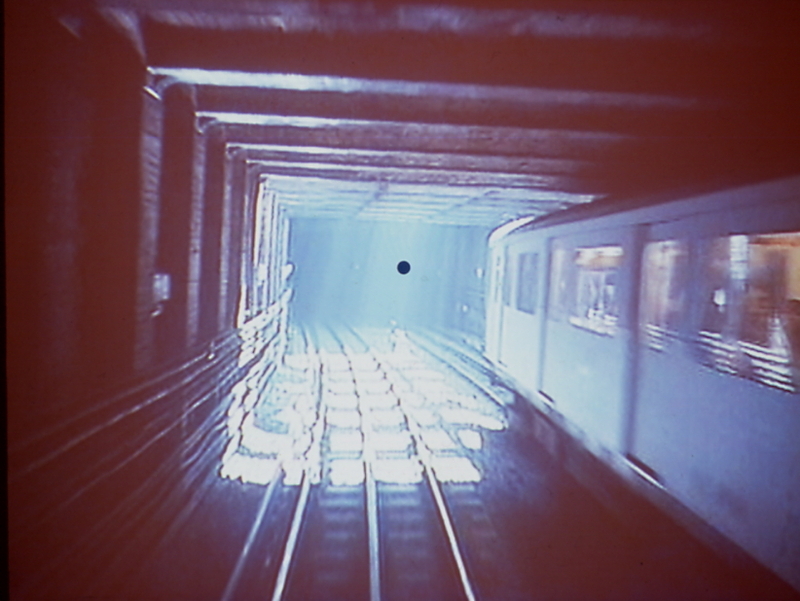 This entry was posted in Drawing, Film/Video and tagged art, Circle Line, Mark Wallinger, train, tube, video, When Parallel Lines Meet at Infinity by Ann Jones. Bookmark the permalink. Some picture of technology of round. At lease some great picture..